Elder Scrolls Online has a huge list of Achievements that show your progress in different aspects of the game. Their role is to offer you new challenges and make your gameplay more interesting. 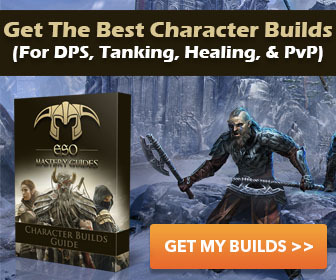 All of them are divided into several groups: PvP, PvE, quest, exploration, dungeon, crafting and so on. For example Quest section show your progress in completing large quest chains or your questing progress in a specific zone. Lore section shows your progress in gathering lore books and other information. The challenges are different and require different actions from player. Exploration accomplishments can be earned through visiting different parts of a zone, PvP – through participating in AvA war. How to get an achievement? You need to accomplish certain condition that can be found in the description. When it is done new achievement will be added. Every time you get a new accomplishment you receive definite amount of special achievement points. The amount of points depends on the difficulty of the task. The more difficult it is the more points you get. You will receive many achievements during your questing and explorations but sometimes you will have to do special actions to get one. You can see your overall progress in a special window where total points and detailed statistics is displayed. You can see what you need to do in order to gain definite accomplishment. You can use this screen as an indicator of your in game activity. For example if you see that you have many Dungeon achievements and have no AvA accomplishments you pay a lot of attentions to raiding. Maybe you should try to visit Cyrodiil to try PvP side of Elder Scrolls Online. Achievements in ESO are not just for fun. You can get special gear, skills and other rewards. Try to get as many points as you can. Can notify player if there is an update in his progress. Plugin can do this through chat or in upper right corner. Notification is shown every 25% of total progress or at any other value. As you see the tracker may help you a lot. You will not need to open your journal every time you wish to check your progress or see the requirements. The plugin will do everything for you and will display the results. It's a must have addon if you have a goal to unlock them all. why don't the achievements transfer between characters? why does all the mail come to my profile no matter what character I use but the achievements don't track between each character? how are you supposed to get all of the achievements?